Love to eat healthy? Findlay has many options that will provide you with a healthy and sustainable meal. I am home for the summer and am excited to get back to some of my favorite spots. My favorite place to go after a workout at the Findlay YMCA is Get Right Nutrition or Power Up Nutrition. These places both provide delicious protein shakes that are substitutes for a meal. When you walk in you will see a board with over 50 flavors to choose from. While choosing your shake, you also will have the option of what flavor of tea you want to go with it. The meal consists of a shake, tea, and an aloe shot. Everyone in there is very friendly and helpful, and has a passion for their healthy lifestyle. Cheers! Get your healthy smoothies at Get Right Nutrition or Power Up Nutrition! After running errands around town, I love to treat myself with a delicious drink from JK Juices’ truck. They offer different flavors to choose from, and even specialty flavors to go with different seasons. My favorite juice to get is the sweet green and the apple cider when they have it in the fall. I am very excited to try their in-store location located in Downtown Findlay on Crawford Street soon! Soon you will be able to get JK Juices’ juice at their storefront in Downtown Findlay! My favorite lunch spot is Main Street Deli. It’s easy to make a healthy meal out of the large variety of options they provide. Main Street Deli has unique sandwich creations, with an old-school deli atmosphere. I love to go here when I’m at home visiting to catch up with friends and family. Need a sweet treat to get you through the day? Check out their amazing bakery items! Doesn’t everyone get excited for dinner when they don’t have to stay at home and cook? My all-time favorite restaurant to eat at in Findlay is The Greek Garden. My food there is always amazing, and there are plenty of healthy options. My favorite healthy option on the menu is the Greek Garden Rice Bowl. It comes in a bowl with rice, veggies, and you get to choose a protein to put on top. I have never been to Greek Garden without getting an appetizer of hummus and pita. Their hummus is the best! The Greek Garden’s patio is the perfect place to enjoy their delicious hummus!  This post was written by Visit Findlay blogger Abby Rachel. Abby is a junior at Ohio University, enjoys being active outdoors and a Cleveland sports fan. That isn’t much, is it? Learn more about Abby and read more blog posts about her here!